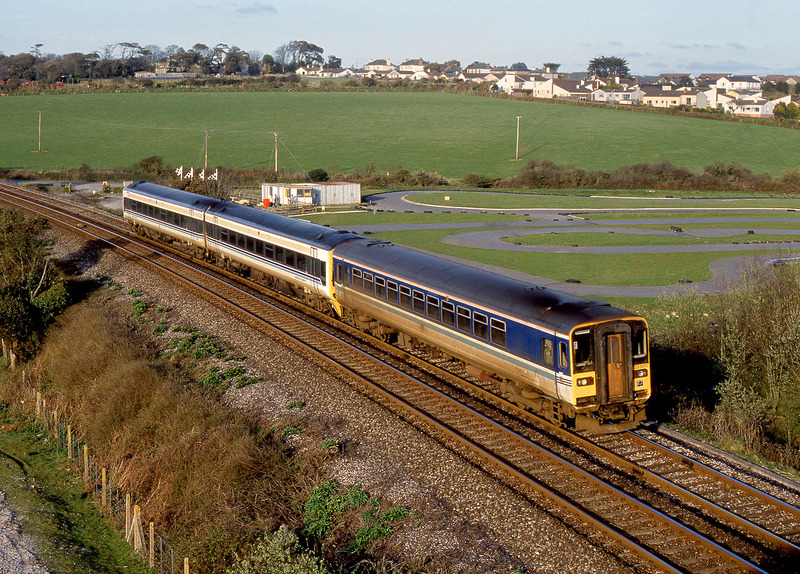 153380 & 158827 pass Hayle go-kart track on 26 March 1994 with the 15:55 Plymouth to Penzance Regional Railways service. Naturally I hadn't travelled all the way to Cornwall just to photograph DMUs. I was waiting at this location to see the final Class 50 hauled train on the national network (or so we thought at the time! ), from the other side of the A30 road bridge.